One in five people have a mental illness or addiction, and people with mental illness die earlier than the general population and have more co-occurring health conditions, according to a new infographic from the Substance Abuse and Mental Health Services Administration. The solution to improving and saving these lives and reducing healthcare costs lies in integrated care, according to the infographic. This infographic also shows the co-occurrence between mental illness and other chronic health conditions, how integrated care works as the most effective approach to complex patients, savings per month and per year, and more. You may also be interested in this related resource: Illness Management and Recovery (IMR): Personalized Skills and Strategies for those with Mental Illness. This month we provide an inside look at a healthcare case manager, the choices she made on the road to success and the challenges ahead. (Jullie Gray) I attended the University of Washington where I earned a bachelor’s degree in social welfare, master’s degree in social work with a specialty in healthcare, and completed a certificate program in geriatric mental health. What was your first job out of college and how did you get into geriatric care management? My very first job in healthcare was as a medical assistant in a practice made up of mostly older adults. I loved it! After I completed my master’s degree in social work, I landed a job with a public hospital district that had many programs besides just the hospital’s programs. For years, I worked in the acute care hospital with people of all ages. The hospital system also owned a geriatric medical practice (primary care clinic but specializing in older adults). I was recruited to manage that clinic, which I did for several years. Being focused solely on management was fine for a while but I started to miss clinical work. I had the opportunity to work in the hospital’s hospice program part-time (a job I absolutely loved). I took the part-time position because I wanted to start a private care management practice. I did both jobs for several years and then my practice demanded more and more time so I quit my hospice work and the rest is history! As my career progressed, I came to realize my most favorite patients (clients) were older adults. At one point while working as an emergency room social worker, whenever an older person would arrive, I would gravitate towards them. I found they had so much life experience to draw upon; they had fascinating lives and I just knew I had found where I wanted to go next in my career. 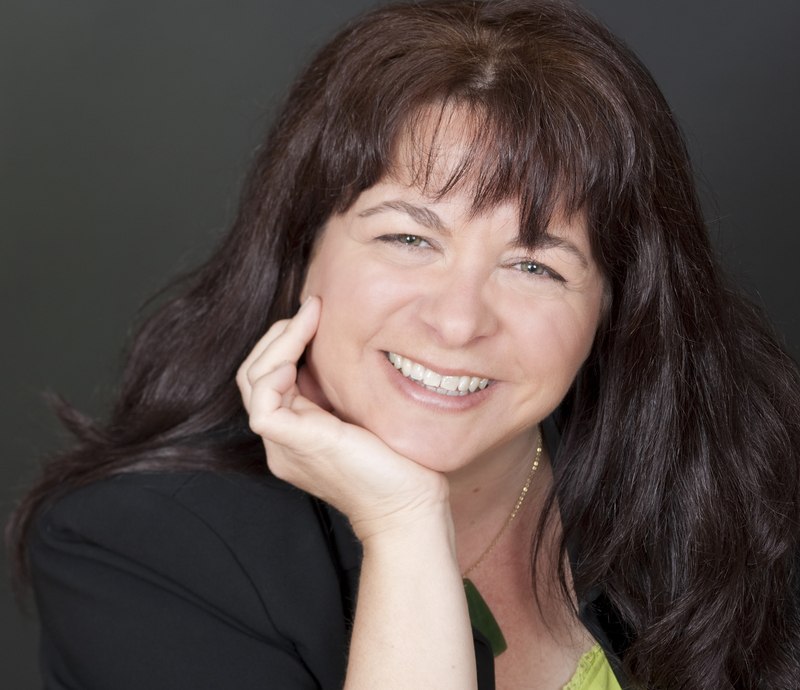 I am the president of the National Association of Professional Geriatric Care Managers (NAPGCM) and a principal at Aging Wisdom, a care management, consulting and home care company located in Seattle, Washington. The National Association of Professional Geriatric Care Managers (NAPGCM) is an organization whose mission is to advance professional geriatric care management through education, collaboration and leadership. The NAPGCM is over 2000 members strong. Our vision is to define excellence in care management and we are looked to as the gold standard in the field. What are two or three important concepts or rules that you follow in care management? Be responsive and follow through with what you say you are going to do. At NAPGCM we are helping care mangers from across the country to do their best work. We provide a great deal of business and clinical support to practitioners so they in turn can serve their clients at the highest level. In my practice at Aging Wisdom, we have gathered together an amazing team. We try to nurture our employee’s creativity and encourage them to grow as practitioners. We know that by investing in our staff, it pays off for our clients because they are all performing at their best. So, really, in both of my roles, I focus my energies on nurturing strengths and promoting a culture of professional growth and development. Do you see a trend or path that you have to lock onto for 2013? There’s not enough people in the field of geriatrics who understand the special needs of older adults, and the problems that come up when people age. Right now there’s a shortage of not only care managers who understand older adults but if you look around at the medical field, there’s a shortage of geriatricians, social workers and nurse practitioners. As I understand it, nurse practitioners are no longer being offered specialized geriatric practice training; instead they are focusing on adults for a generalist view. This worries me; we need more people that specialize in aging. What is the most satisfying thing about being a care manager? It’s hard to pinpoint just one thing that makes my job satisfying. I guess like most people, I want to know that I make a difference. I am fortunate to have a job that allows me to help people. And, at the same time, my clients help me by sharing their wisdom. Working with older adults is tremendously rewarding because they come with a lifetime of experiences. Even those who have memory problems are able to draw upon their rich history and find creative ways of coping. My clients have a tremendous sense of humor even in the face of really difficult challenges. The fact that they let me be there for them during their most vulnerable moments in life is a real honor. What is the greatest challenge of care management and how are you working to overcome this challenge? The greatest challenge for me right now is juggling my role as president of NAPGCM and as principal of a growing company. Being president of NAPGCM, I have access to a great team of fellow board members and staff. They help keep me on track and inspire me by their commitment to excellence. In my practice, I’m lucky to have a wonderful business partner. We laugh a lot and set small and large goals for ourselves. Because we’ve assembled a really great team, we are able to let go of many responsibilities and feel confident that the work will be done right. What is the single most effective workflow, process, tool or form care managers are using today? I think most practices are using some sort of care management software program. These programs typically interface with Quick Books to help with invoicing. Even though no software program is perfect, I can’t imagine working without one to document case notes and invoice clients. I was born and raised in Seattle. In fact, I often joke that I was born at the University of Washington Hospital, obtained my bachelor’s and master’s degree there and will probably end up there at the end of my life to complete the circle. I can honestly say that I was born a Huskie! Usually, that story gets a good laugh. I attended the University of Washington. The moment that stands out for me is when I attended my first social work class. I knew right then that I was at home! The profession really made sense for my values, personality and temperament. I am happily married. I didn’t get married until I was almost 40 years old. This year I turned 50! It was weird turning 50 because it seems like it just snuck up on me so fast. I actually celebrate my age even though I know many people worry about growing older. We don’t have any children but we do have a rescue dog named Gracie. She’s a Shepherd mix and loves to jump on top of me (all 50 pounds of her) early in the morning around 5:30 AM. It’s her way of getting me out of bed to take her for a long walk before my workday starts. Can’t beat that for motivation! My husband is a landscape photographer so whenever we have a chance, we visit national arks and soak in the beauty. I love to watch him photograph and sometimes I even pull out my own camera to try to capture a scene. I really enjoy a book called The Leadership Challenge. By Kouzes & Posner. It’s helped guide me in my role as president of NAPGCM and also in my own practice. I would encourage anyone who is interested in the field of care management to think about joining NAPGCM, and you can click here to get to the Web site. We have started a great webinar program for budding entrepreneurs called the Building a GCM Business Series. The association is ready and eager to help care managers be successful in their careers. Of the $2.8 trillion spent annually on healthcare in the United States, 70 to 75 percent is used to treat preventable conditions. As a result, wellness programs to improve health and reduce costs are increasing in popularity among employers. Sixty one percent of employees participate in wellness programs when rewards are offered while only 26 percent participate without rewards, according to a new infographic from Human Resources MBA. This infographic outlines the costs of medical care in the United States and the rest of the world, and details health promotion and wellness programs including wellness ROI, rewards and participation. It looks like good surgeons are, literally, a cut above the rest, at least according to a new study from Harvard School of Public Health. Quality surgical care is strongly linked to hospital readmission rates, a somewhat surprising new statistic given that much of policy focus has been on reducing readmissions after hospitalizations for medical conditions, such as heart failure and pneumonia. Readmissions for medical conditions are primarily driven by how sick the patients are and whether they live in poor or better-off communities; the link between hospital quality and readmissions is less clear. The study sought to find out if there was a relationship between readmission rates after surgery and the quality of surgical care in that hospital; more details inside. Poor healthcare quality does not discriminate. According to a new study from the Commonwealth Fund scorecard, access to affordable, quality healthcare varies greatly for low and high-income people based on where they live. The report finds that higher-income people living in states that lag far behind the top scoring states are often worse off than low-income people in states that rank at the very top of the scorecard. The scorecard provides the first state-by-state comparison of the healthcare experiences of the 39 percent of Americans with incomes less than 200 percent of the federal poverty level, and compares their experiences with higher income families. Lower-income families, particularly those on Medicaid, have grown increasingly more dependent on using the emergency room, despite widely held assumptions that uninsured patients are high ER utilizers, according to a study from the University of California, San Francisco. In order to investigate recent trends between insurance coverage and ED use, researchers analyzed California ED visits by adults aged 19 to 64 years old from 2005 to 2010, and found that the number of visits to California EDs by adults overall increased by 13.2 percent, with Medicaid beneficiaries leading the pack. This study has wide implications with upcoming ACA reforms; many uninsured people are expected to transition to Medicaid, and as a result, overall ED use may increase because Medicaid patients have higher rates of ED use. 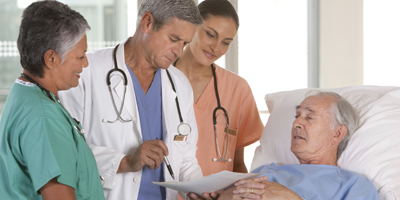 physician-led, a trend that replaced the hospital-administered ACOs that dominated in 2011. As ACOs continue to evolve, the composition of the care delivery model will shift as well, with hospice, long-term care and home health entering the fray. material to develop prevention and lifestyle change programs. Tell us how your organization uses HRAs to improve population health by October 15, 2013 and get a FREE executive summary of the compiled results. More than half of all physicians already use electronic health records (EHRs). While 50 percent of physicians are satisfied with their EHR’s features and functionality, 17 percent of EHR users are considering switching systems by the end of 2013, according to a new infographic from CDW Healthcare. This infographic also provides details and statistics about meaningful use, patient engagement, EHR satisfaction and online health. Monarch HealthCare took top honors in quality performance in year one of the CMS Pioneer ACO program. As far as Medicare beneficiaries are concerned, it’s time for healthcare to acknowledge specialists as principal caregivers of the chronically ill, advises Monarch HealthCare, a top-performing CMS Pioneer ACO. Monarch came to this realization in year one of participation in CMS’s Pioneer ACO program, when it discovered that 70 to 80 percent of office visits by its 14,000 accountable care organization (ACO) patients were to specialists. “We have to start treating [specialists] like a primary care provider (PCP), especially for those patients that are chronically ill, where it is actually appropriate that a cardiologist is the primary care giver for a patient with CHF and coronary artery disease (CAD),” said Colin LeClair, Monarch HealthCare’s executive director of ACO. 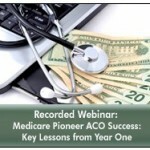 Engaging and incentivizing specialists in its ACO are two key facets of Monarch’s year three performance strategy, noted LeClair during a recent webinar on Medicare Pioneer ACO Year One: Lessons from a Top-Performer. Going forward, Monarch plans to tap patient data from specialist encounters to enhance its care management and quality improvement efforts. Despite its regret at not engaging specialists earlier, Monarch’s Pioneer ACO has plenty to be pleased about at the outset of year two, in which the number of ACO-attributed patients has swelled to 22,000 patients. In terms of quality performance, Monarch, the largest IPA in Orange County, Calif., was year one’s top scorer in several patient-centered metrics in the Pioneer ACO program, and the second highest performer in the area of medical cost reduction  a result largely driven by reductions in hospital and skilled nursing facility (SNF) utilization and unit costs, noted LeClair. Monarch is one of 32 originally selected CMS Pioneer ACOs. Today, 23 remain in the program. During the 45-minute program, LeClair outlined Monarch’s six-step ACO implementation strategy, a patient-centered approach built around risk stratification, ACO team-building, and care management. Trial and error during the first year yielded some interesting findings, such as the optimal time to engage a patient, he said. Among the four success drivers LeClair shared was a coterie of Web-based population health management tools Monarch developed for its ACO team, he said, that are supported with Web and face-to-face training. One such tool is the annual senior health risk assessment (ASHA) reviewed by the patient and doctor during the Medicare Annual Wellness Visit. The free annual well visit provides an opportunity to identify key risk factors, perform screenings and reconcile medications. Unfortunately, the new CMS benefit is largely unfamiliar to patients, LeClair added. Another year one lesson learned was the value of the office staff in ACO rollout. As Monarch tweaks its ACO architecture, it is considering incentivizing the office staff as well. “Too often, incentives are focused on the physicians, and the office staff actually drives most of the work to support the ACO population,” said LeClair. In closing, LeClair said Monarch remains committed to the ACO model, and as it looks ahead to year three, it hopes to identify mini-networks of physicians, explore episodic or bundled payments, and partner with hospitals, SNFs and ancillary vendors to reduce avoidable utilization. Click here to listen to an interview with Colin LeClair. With healthcare reform fostering a consumer-driven environment, patient satisfaction and experience remain top priorities for hospitals. The main roadblocks to patient experience are a diffused focus, other organizational priorities and cultural resistance, according to a new infographic from the Beryl Institute. This infographic also looks at top hospital priorities, leaders’ perspectives on improvement, the team responsible for patient experience, how to drive and measure success, and much more. You may also be interested in this related resource: Improving Healthcare Team Performance: The 7 Requirements for Excellence in Patient Care. In the future, SNF readmission rates could be subject to penalties similar to those CMS has put in place for hospitals, such as when SNF readmissions to a hospital occur for certain conditions, within a particular timeframe. To avoid this, many hospitals and health systems are collaborating with SNF providers to improve care and reduce unplanned 30-day readmissions. Reducing fragmentation and redundancy of care and reclaiming revenue from diverted admissions are just two reasons to integrate SNF networks into a post-acute strategy, according to a new HINfographic from the Healthcare Intelligence Network. This infographic not only identifies additional reasons to integrate SNF networks, but also breaks down SNFs by the numbers and offers tips for network formation. Information presented in this infographic was excerpted from: Accountable Care Strategies to Improve Hospital-SNF Care Transitions. If you would like to learn more about accountable care strategies for care transitions, this resource includes a detailed case study from Summa Health System, and industry thought leaders advise hospitals to monitor what goes on across its care continuum and to partner with facilities it discharges to most often to reduce 30-day readmissions. The United States spends more than two and a half times more on healthcare per person than most developed nations in the world, according to the World Health Organization. The United States spends the most per capita on health at $8,233 compared to the lowest health expenditure, which is in Afghanistan at $44 per capita. This infographic shows how U.S. healthcare compares to 16 other countries around the globe in terms of health expenditure, life expectancy, health service availability, risk factors, health systems and more. You may also be interested in this related resource: 101 Tools for Improving Health Care Performance.